Evening. 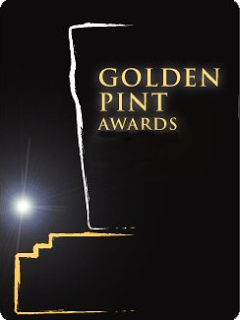 I did a HILARIOUS Golden Pint post last week and thought it was about time I did it FOR REALS YO. Best UK cask beer: Oakham Citra, obviously. It's probably the cask beer I've drunk most of this year because it's just so goddamn good. Best UK keg beer: Magic Rock Salty Kiss. Basically, all the versions are awesome but if I had to pick a favourite, it'd be the lime one. SIMPLY BITCHIN'. Best UK Bottle/Can: Adnams Ghost Ship in a goddamn can wins the can department. Bottled would clearly have to be Magic Rock Unhuman Cannonball. Best Overseas Draught Beer: Lagunitas IPA. By god, I've drank SO GODDAMNED MUCH OF IT. It's being properly imported and is just incredible. Alec and I once drank about 4 pints in an hour. Best Overseas Bottled or Canned Beer: Oskar Blues Deviant Dale's IPA takes this award. It was absolutely incredible. Thanks to Total Curtis for my first ever can. I have one in the fridge right now too! Best Collaboration Beer: Weird Beard & Elusive Brewing Nelson Saison. Oh god, this was bloody wonderful. It was the perfect beer for a hot day, to sit drinking with friends. OH YES. Best Overall Beer: Kernel IPA Double Citra. I once drank about 4 in a day. That was a good day. I WANT MORE. Best Branding, Pump Clip or Label: The Rogue Voodoo Doughnut bottles are both incredibly cool - BRIGHT PINK with awesomeness occurring. Best UK Brewery: Adnams. Quite simply, they're brewing some of the best beers in the UK right now. They're not brewing anything completely mental. They're literally just brewing awesome beers. Their Jack Brand series of Innovation, Clump Sagin Rye IPA & Dry-Hopped Lager have all been stunning. Also, GHOST SHIP. Best Overseas Brewery: Been SO GODDAMN IMPRESSED with Oskar Blues, the can only brewery. Simply brilliant! Best New Brewery Opening: WEIRD BEARD. Everything I've had has been bloody brilliant. Need to drink more and more and more all the time. Pub/Bar of the Year: Earl of Essex in Islington, London. They have an awesome cask, keg and bottle selection and the prices are VERY reasonable compared to most similar establishments. They also have a bloody awesome patio out the back. Beer Festival of the Year: Birmingham Beer Bash - it was so brilliant that Andrew and I got so drunk during the daytime session that we couldn't make it to the evening session! Supermarket of the Year: Sainsbury's. 3 bottles of Franziskaner for a fiver. YEAH. Independent Retailer of the Year: Bacchanalia in Cambridge. Simply brilliant. It's run by really awesome chaps and has an awesome selection. Online Retailer of the Year: Beers of Europe, as usual. Massive selection, reasonable prices and beer usually arrives the next day if you order before midday! Best Beer Book or Magazine: Definitely Craft Beer by Craig Heap & Chris Hall. Best Beer Blog or Website: Total Ales by Matt Curtis, because I think he's getting almost as angry as me. 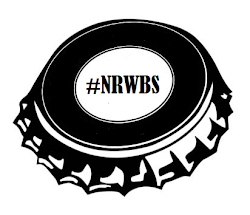 Simon Johnson Award for Best Beer Twitterer: Definitely Chris Hall. Such a hilarious craft wanker. Best Brewery Website/Social Media: Adnams. They know how to work it and are so informative. If you want to know anything, just ask them or look at their website. Best Food & Beer Pairing of the Year: KFC and Orval. GO GET SOME! Well that's it for another year! If you're a winner, congratulations. If you're not, you need to try harder. I'm determined to try oakham citra on cask as I've only had it bottled! Gotta love it being under 2quid from b&m too! !